More than 70 percent of Black/African-American adolescents who have experienced a major depressive episode did not receive treatment. Approximately 25 percent of adolescents who experienced a major depressive episode in the last year were Hispanic/Latino. Asian-American adults were less likely to use mental health services than any other racial/ethnic group. Nearly 1 in 10 American Indian or Alaska Native young adults considered suicide in the past year. Also in the past year, 1 in 7 Native Hawaiian and Pacific Islander adults had a diagnosable mental illness. Raising awareness about mental illness and its effects on minority populations has been a sustained effort in many communities since the inception of National Minority Mental Health Awareness Month in 2008. To acknowledge the fine job that many organizations are doing, I want to share some examples of their efforts to combat mental health stigma among racial and ethnic minorities. Nationally, the National Alliance on Mental Illness has fully embraced this challenge by sharing a video that explores the unique perspectives on mental health from the African-American and Latino communities. Additionally, Mental Health America helps us to understand how some minority populations talk about mental illness. 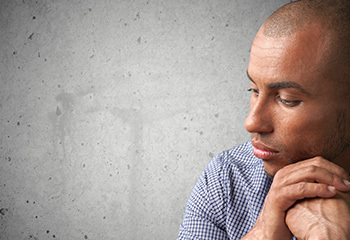 While it’s generally accepted that there are no race-specific treatments for mental illness, the way individuals within these communities express signs and symptoms do differ. Raising awareness is only part of the problem concerning mental illness in minority communities. Access to care is an issue as well, complicated by stigma. Faith can play an important role in raising awareness, and more importantly, helping people to access care. In Tennessee, the former Commissioner of Health Dr. Kenneth Robinson said, “Our hospitals and churches are our greatest resources in the battle against health disparities”. By way of example, the Congregational Health Network has helped to bridge the health care divide by offering for the past five years quarterly courses in Mental Health First Aid, free to all participating network affiliates. During this time, I have seen a difference not only in awareness but also in individuals’ willingness to speak openly about recovery and the challenges their families face. Raising awareness is only part of the problem concerning mental illness in minority communities. Access to care is an issue as well, complicated by stigma. Mental illness, and for that matter agencies that provide mental health services, have been a major source of stigma. Rather than taking a deficit-based approach to this problem, we see a more collaborative, innovative solution that focuses on emotional fitness and wellbeing. As a result of this strengths-based approach, the Emotional Fitness Center, a network of state-funded, church-based counseling centers, was formed in Memphis. In recognizing July as National Minority Mental Health Awareness Month, it matters that we see beyond the rhetoric, roll up our sleeves and do something. Many of the above-mentioned works were inspired by the heroic figure for which this observance is named, Ms. Bebe Moore Campbell. I hope you find the time to hear the words of one whose life ended all too soon.